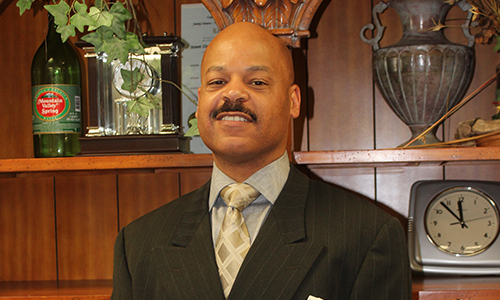 Elder Kevin Miller currently serves as the Pastor of Evangelism and as the Personal Assistant to the Senior Pastor, Dr. C. Ronald S. Williams II. Elder Miller holds a Bachelor of Arts Degree in Communications from Cleveland State University and is currently pursuing a Master of Divinity Degree from Regent University. He has been in ministry since 1991. He was ordained by Dr. Williams in November of 1994 and began his calling as a full-time minister of the Gospel. Known as a gifted teacher, he has served as Youth Pastor at Mount Zion Fellowship. He presently leads the New Converts Team and the Phillip’s Ministry. He also instructs the New Member Class and is a Counselor with the Mount Zion Fellowship Community Development Center’s Pre-Marriage Counseling Program. Elder Miller is the General Administrator for all ministries at Mount Zion. Elder Miller is a devoted father to Justin.